This is a heifer with lots of style. She come from a Champion bloodline, Ladies Man and Powerstroke. She is bred to Musel Man Y30. For more information call 940-368-4352. 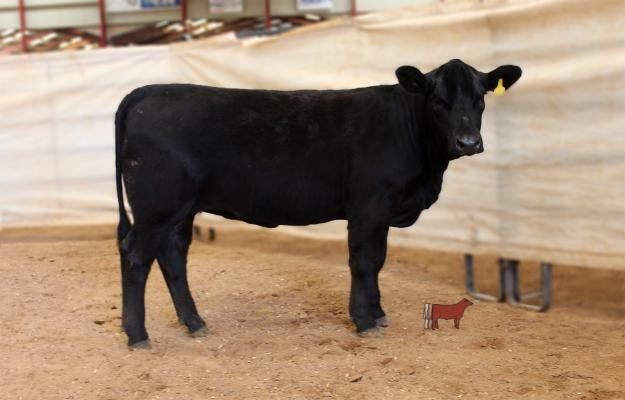 Consigned by Hampton Simmentals.